There are many large and beautiful palaces and temples in Korea all of which are worth seeing. Hanok villages abound, and there are also Folk Villages where buildings from different eras and places are built, or collected, so that you can see how all classes of Koreans lived in the past. However, there’s another interesting option, and that’s to visit a Jongga. A Jongga, or Jongtaek, is a large family house that has been passed down from eldest son to eldest son for generations. It is also a bit more than that; it is a spiritual home to multiple descendents; a symbol of a family’s traditions, past, and ancestors; a maintainer of some Confucian ideals, heritage, and beliefs; and a balance to some of the excesses of the modern world. Chunghyeon Museum is one such place. It was the home of Ori Yi Won-ik (1547-1634) and his descendants and is still cared for by family members. In this case thirteenth generation descendent of Yi Won-ik, Dr. Lee Sung Kyu, and his wife Ham Keum-ja who we were lucky to meet, albeit very briefly. Situated in Gwangmyeong it is open to the public on Saturdays and by reservations at other times. It is easily doable as a day trip from Seoul either by subway and bus/taxi, or by KTX and taxi. Small enough to be intimate, it actually covers a fairly large area to include a shrine, the site of a confucian academy, a couple of small pavilions, multiple graves as well as the main buildings. 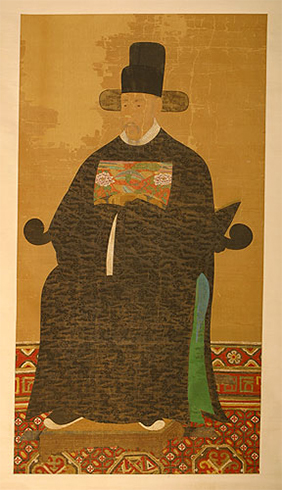 The museum houses multiple Provincial Treasures as well as a National Treasure in the form of the portrait of Yi Won-ik. It is quite incredible that one family managed to save so many treasures for so long, especially considering the number of invasions, forced colonizations, and wars that Korea has suffered over the years. The museum houses multiple portraits as well as family and official written documents. Many make interesting reading as they record details of life in 16th and 17th century Joseon/Korea. They also offer insight into many of the customs of that time. 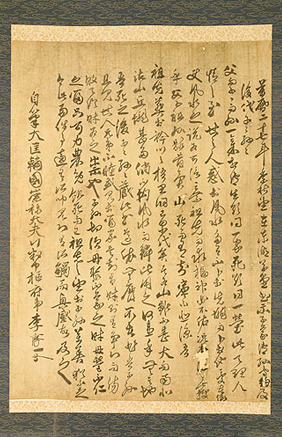 Some written from Yi Won-ik to his son are particularly enlightening as to what was expected of a son to his father. So who was Yi Won-ik that makes a visit to his ancestral home so worthwhile? Well he was a scholar/official who through being a clever and good leader worked his way up until he became a Prime Minister who served three kings, Seonjo, Gwanghaegun, and Injo. At one point he became Commander in Chief of the Army and was instrumental in driving out the Japanese invaders, but it isn’t necessarily these things that made him special. It was more the fact that he was a humble yet upright man. He was said to be kind, and in fact he introduced various reforms that made life a better for the common people. He was a modest and unassuming man who thought that one should be virtuous, courteous, and not afraid of hard work. He was a ‘good and righteous man’ in the old fashioned sense, and the people loved him. He received multiple awards and honors from the King, turned down a few, and received more after his death. He served his nation well and passed on a commitment of service and loyalty to his son and descendents. The fact that they managed to save so many documents and portraits through difficult times speaks well of them too. Much as I enjoyed the museum and learning about Yi Won-ik I also enjoyed just strolling around the buildings and seeing all the small things that the family had kept over the years. There were touches that showed that the family still lived there, with houseplants waiting to be watered and ingredients fermenting in jars. The property was beautiful and the thoroughly enjoyed walking around. The Shrine was pretty, peaceful and lovingly maintained. The parklike grounds were worth a visit and you can get a brochure at the front gate with a map inside, although when we went there wasn’t an English language one available. Probably because I got the impression they don’t get many foreign visitors. However they have an excellent web site with an English language option. The house, museum, and grounds were well worth a visit and we thoroughly enjoyed learning about a Jongga family and their famous ancestor. You may also enjoy Beolcho: A Korean Tradition Of Maintaining Ancestral Grave Mounds, Korea And The Silk Road, and Korea’s Greatest Hero. Photo credits to original owners. Image of Ori Yi Won-ik and the one of Seosijason found at official website of Chunghyeon Museum. All other images Elle and Debora Marzec. ← Jokbal, A Korean Dish Of Pig’s Hocks.